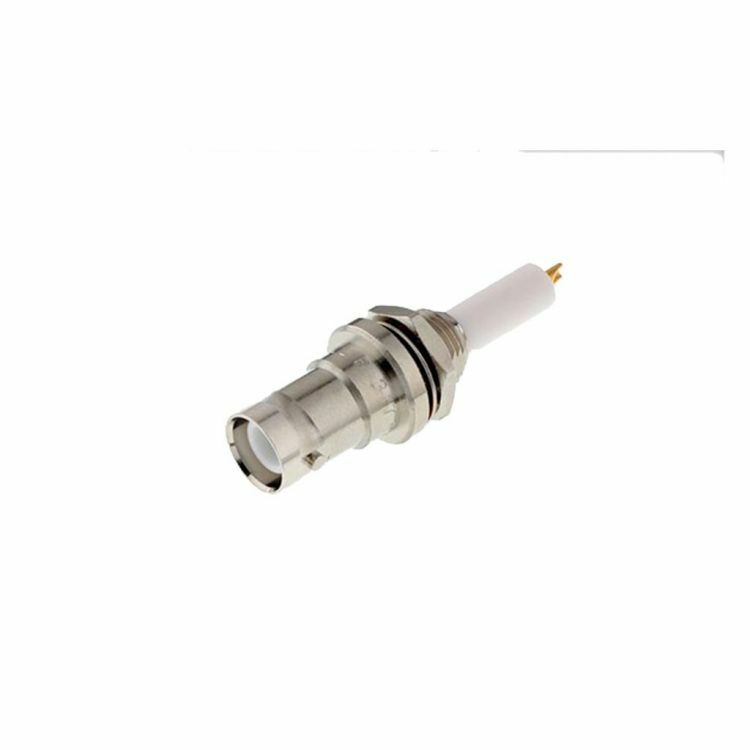 Bayonet coupling Safe High Voltage connector, operating in the range DC-2 GHz. SHV is easily recognizable due to its protruding insulator design, which makes SHV connectors safer for handling high voltage than MHV. A mated pair of connectors is rated at 12,000 VDC.